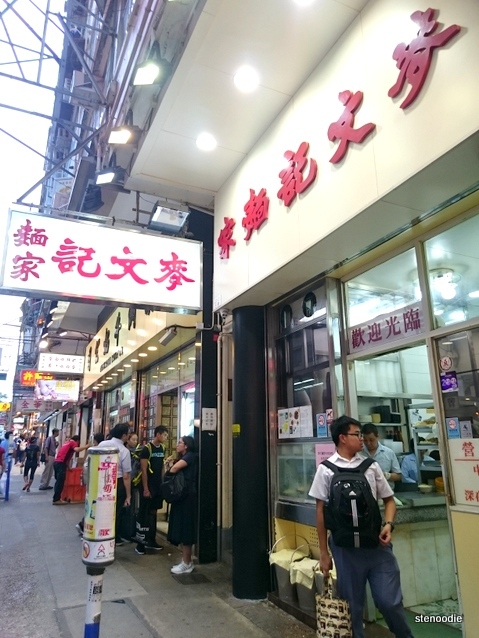 Later that evening on September 23, after some shopping nearby, we returned again to Parkes Street in Jordan, Hong Kong to visit another classic Chinese noodle shop (we had visited the Australia Dairy Company earlier that day after dim sum) called Mak Man Kee Noodle Shop. 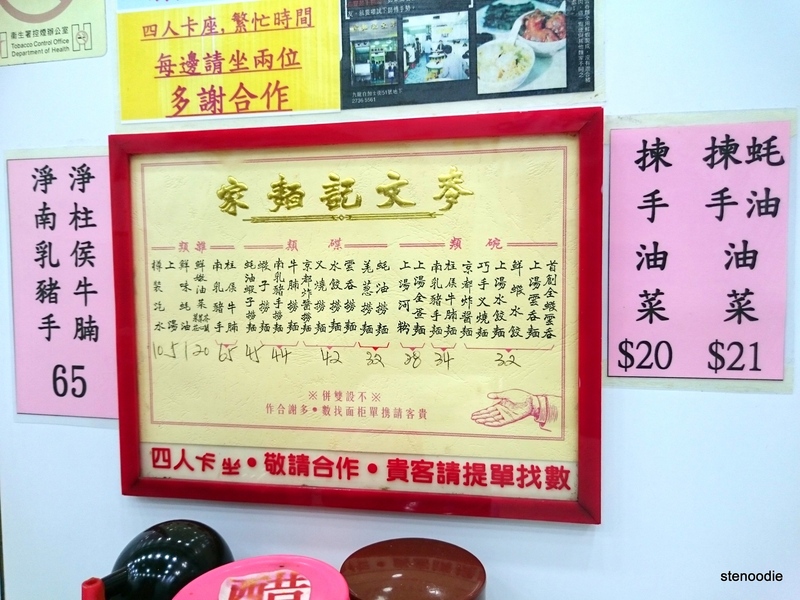 This long-standing noodle shop (since 1958!) 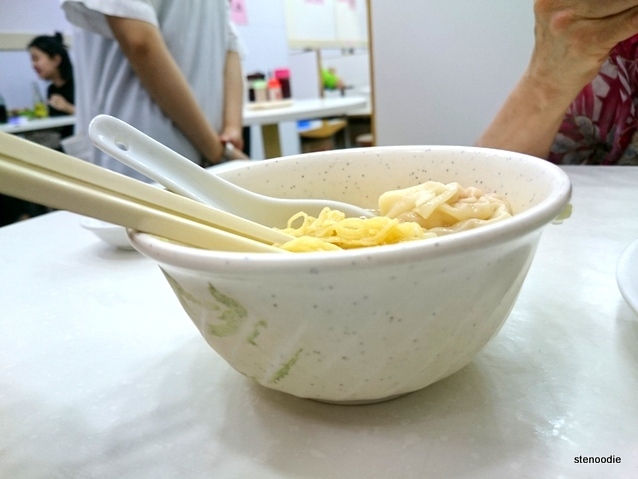 serves a simple bowl of wonton noodles and they are well known for their delicious noodles. I hadn’t been here before and was so excited to try this place out! We ordered a single bowl of wonton noodles with wonton and a side of greens. 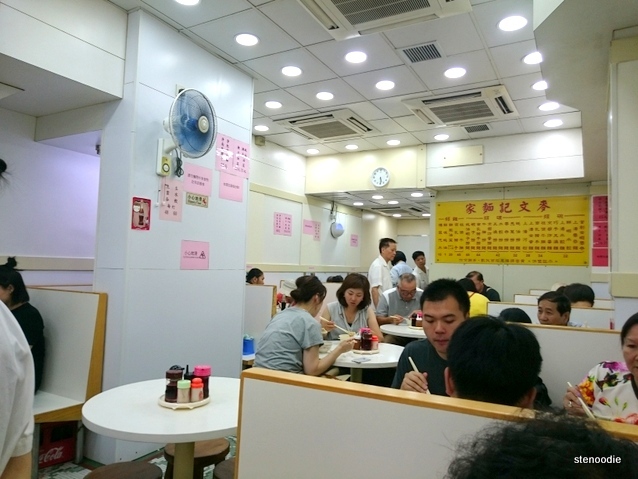 You can tell from the photos that this place was truly a classic Hong Kong style noodle shop. 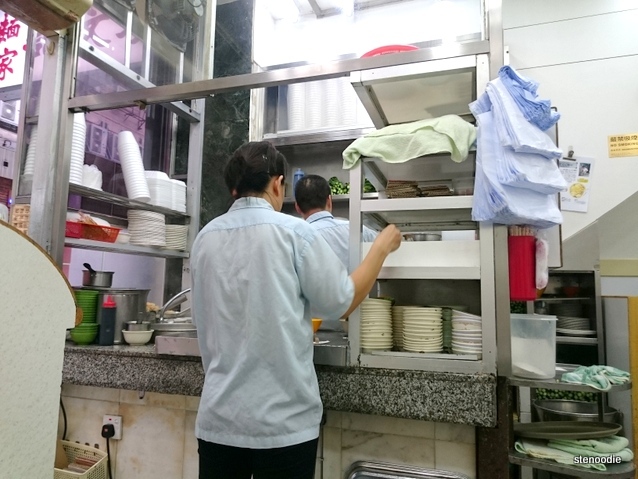 I don’t know how to describe it but this is what all Hong Kong cafes all used to look like and only a few have maintained its traditional ‘look’. Anyway, I was highly impressed with the wonton noodles. At first though, I was surprised at how tiny the bowl was. 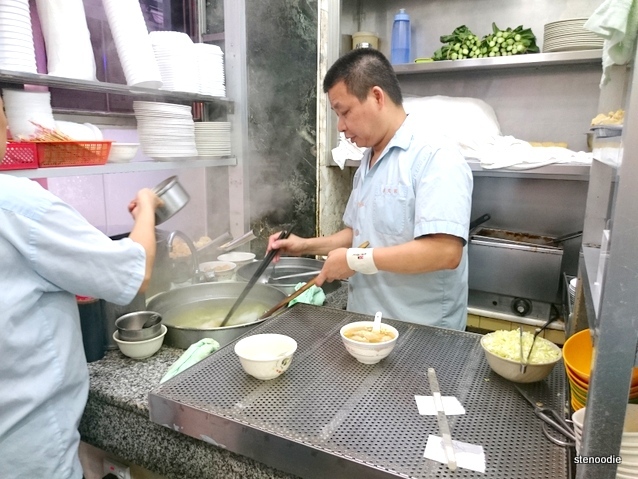 This place was truly a gem since their bowls of noodles were so tiny. After a few slurps of the noodles though, I knew why they were so popular. 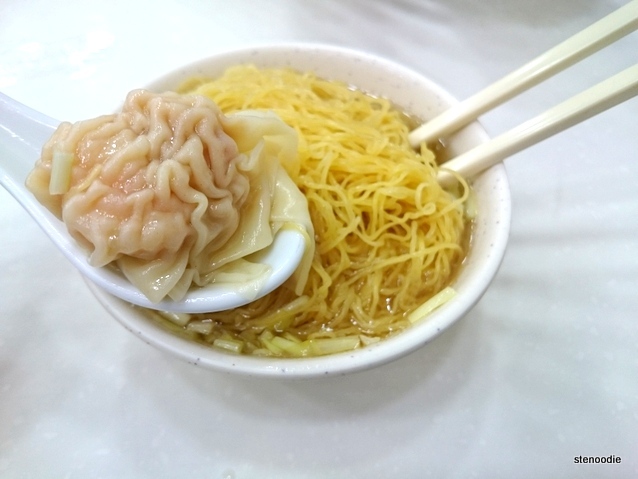 The yellow thin noodles were simply very stringy and firm; unlike most wonton noodles I have had ever. 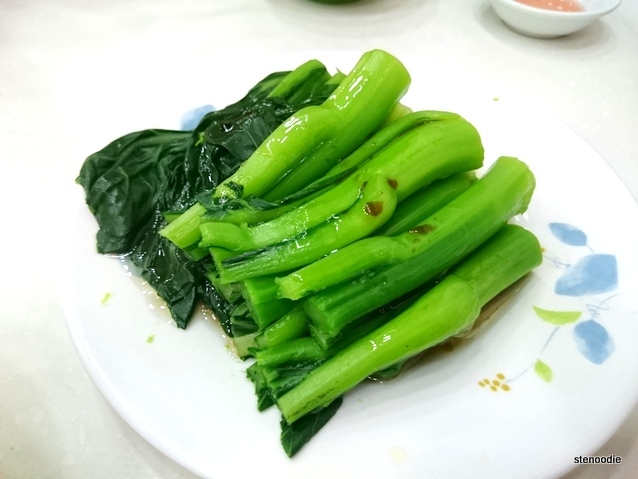 It was really good!! 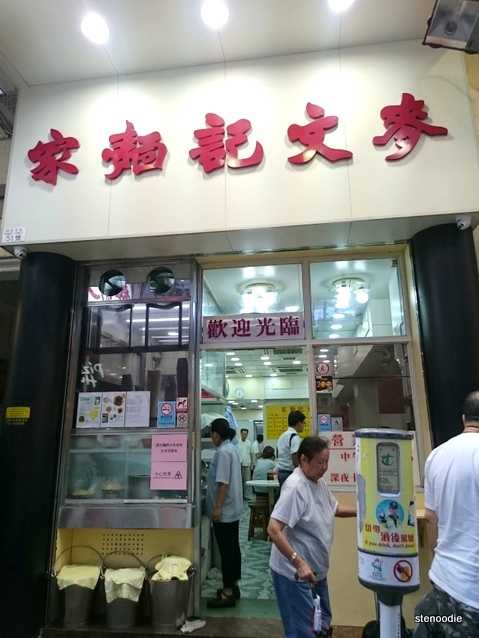 I was thankful to be able to visit this well known Mak Man Kee Noodle Shop. 🙂 If I ever visit them again, I’ll want to try their other dishes of noodles next time; such as the ones mixed with sauce. 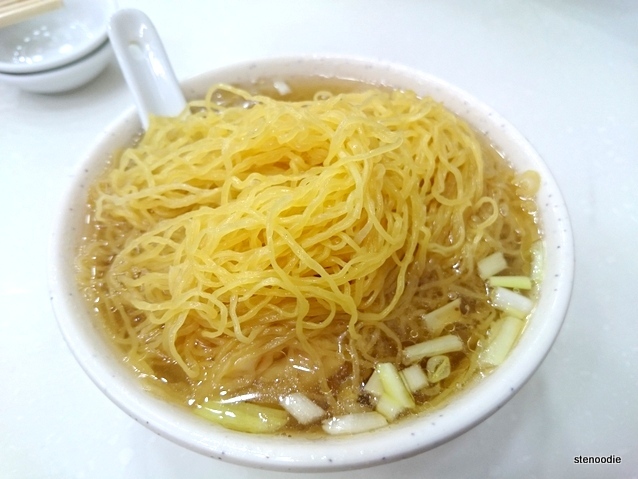 This entry was posted in Food and tagged 51 Parkes St Jordan, Chinese, 雲吞面, 雲吞麵, 麥文記麵家, famous noodles in Hong Kong, food blog, foodie, Hong Kong, Hong Kong famous wonton noodles, Mak Man Kee menu and prices, Mak Man Kee Noodle Shop, noodle, noodles at Mak Mun Kee, restaurant review, Steamed veggies, wonton noodles, 佐敦白加士街51號地下. Bookmark the permalink.